Runtown’s ‘Mad Over You‘ regains top spot as the most played song on Nigerian Radio, making it the 4th time it has appeared at the top spot. It didn’t make it last week due to the emergence of Wizkid’s ‘Daddy Yo‘ which has since dropped out of the top 10 with a finish of 11th place. 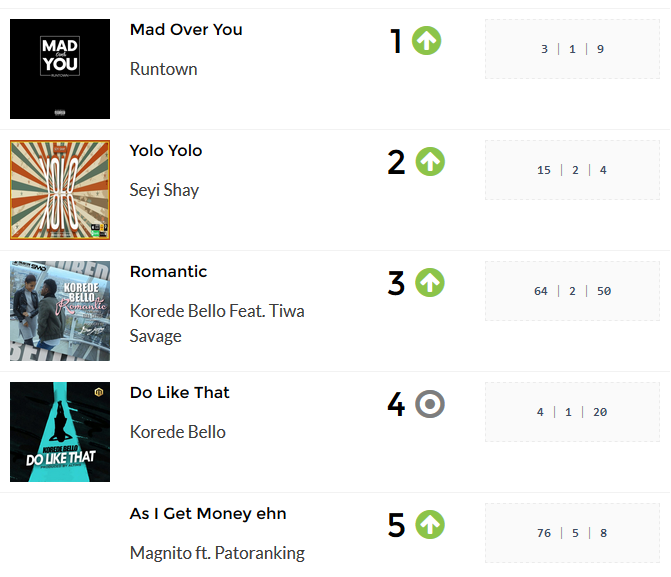 Seyi Shay’s ‘Yolo Yolo‘ and Korede Bello’s ‘Romantic‘ (Valentine favorite) completes the top 3. 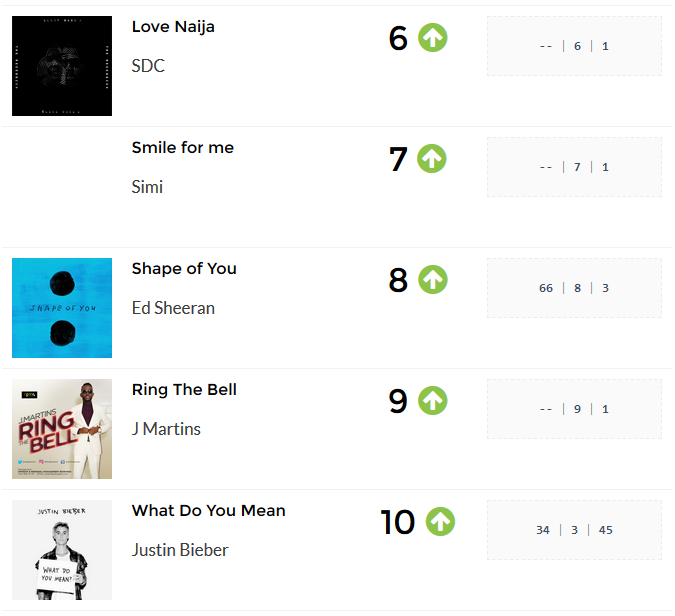 New songs by Simi (Smile For Me), SDC (Love Naija) and J Martins (Ring the bell) debut on the charts at positions 7th, 6th and 9th respectively. #RadioTopTen – The official countdown of the most played songs across ALL radio stations. How does #RadioTopTen chart music? #RadioTopTen is powered by Playdata. Playdata is an innovative broadcast/media monitoring tool that provides play count reporting in real time. Visit www.myplaydata.com to learn more about Playdata. Does #RadioTopTen monitor and chart every single song that plays on the radio?